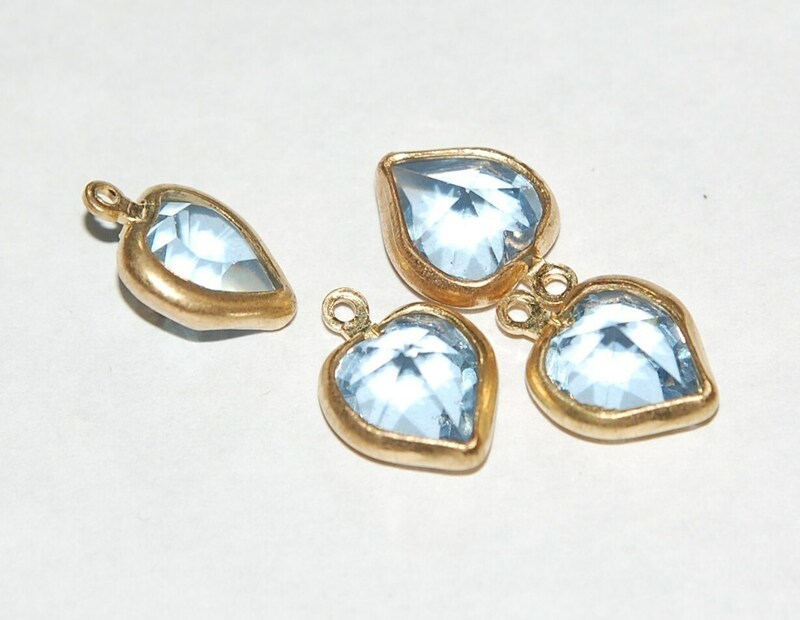 These are light sapphire blue faceted hearts that are in a brass setting with loop. 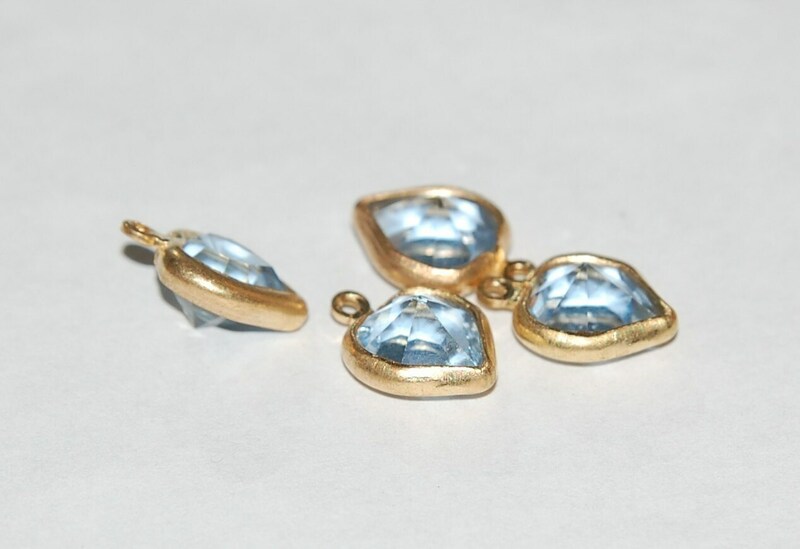 These measure 14mm x 10mm. You will receive 4 of these. excellent quality,will purchase again and highly recommend! !